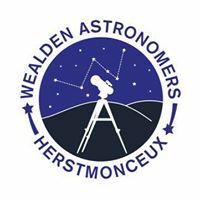 Come and join the Wealden Astronomical Society who will have Solar scopes and Astronomical Telescopes with Solar Filters on the lawns at the Herstmonceux Science Centre for a day of sun and fun. A transit of Mercury across the Sun takes place when the planet Mercury comes between the Sun and the Earth, and Mercury is seen as a small black dot moving across the face of the Sun. Transits of Mercury with respect to Earth are much more frequent than transits of Venus, with about 13 or 14 per century, in part because Mercury is closer to the Sun and orbits it more rapidly. Transits of Mercury occur in May or November. The last three transits occurred in 1999, 2003 and 2006; the next will occur in 2016. On June 3, 2014, the Curiosity rover on the planet Mars observed the planet Mercury transiting the Sun, marking the first time a planetary transit has been observed from a celestial body besides Earth. Combining a fascinating talk with some fabulous fun demonstrations all about the process of brewing beer along with the chance to sample some local brew, this is an evening not to be missed! The Long Man Brewery will be giving a talk about the brewing process and our very own Steve Evans will be providing a comedy element and some demonstrations about the science of beer. All this plus music from one of Sussex’s hardest working and busiest singer/guitarists, Paul Stanworth who will be playing popular hits from the 50’s right through to current chart toppers. If that was not enough we will provide a delicious curry AND a voucher to sample a free beer of your choice (soft drinks and wine are also available). A vegetarian curry option is available but we are unable to offer alternatives to the curry. If the weather is good then there will ALSO be an opportunity to look through the Centre's fantastic historic telescopes at some fascinating night sky objects including Jupiter. The Long Man Brewery will also be running a cash bar throughout the event. Last year’s event was a huge success and numbers are limited to a total of 80 so book early to secure your place.